If you have lived in the Bay Area for awhile, then this week's mid-September heatwave hits right on cue. Bay Area residents can prepare for mini-heat wave of sorts for the rest of the work week. It's expected to be one of the region's warmest weeks of the year, according to the National Weather Service and NBC Bay Area meteorologists. East and South Bay hot spots could hit triple digits. 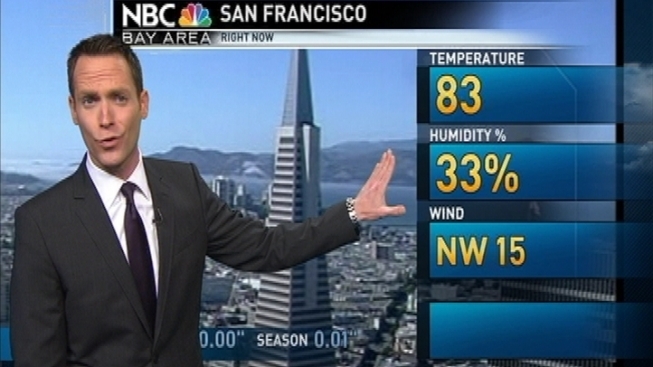 NBC Bay Area chief meteorologist Jeff Ranieri said the hottest day of the week will be Wednesday. He is forecasting a big cool down by the weekend with the high temperature of only 79 on Sunday. The warm up coincides with the final week of summer. The summer solstice officially ends Friday at 2:04 a.m. Friday at 2:05 a.m. it officially becomes the fall season. Locals know that the warmest weather often comes in September. On average the month of September is the warmest on of the year for the city and county of San Francisco, according to Jan Null, a meteorologist with Golden Gate Weather Services. The weather is not anything to worry about. Other than the fire danger being considered high and both Monday and Tuesday are official spare the air days, this will likely be one of the best weeks of the year to take your lunch break outside.